The American Welding Society teamed up with the Boy Scouts of America to give scouts a welding experience that they would never forget. The American Welding Society’s Professional Development Council needed to come up with a sure fire plan that would get America’s youth hooked on welding. 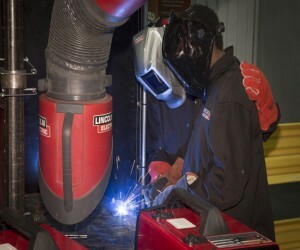 The plan needed to give kids a hands-on experience that would teach them about the basics of welding and would also encourage them to explore the vast number of career paths that the welding profession has to offer. In 2007, the chairman of the AWS San Fernando Valley Section, Jack Compton, suggested working with the Boy Scouts of America to come up with a welding merit badge to interest kids in the field. Compton was a scouter and had two grandsons already involved in the scouting program. Shortly after that suggestion was made, a special committee was established to create the merit badge. In 2008, the head of the standards committee, David Landon, was asked to step up as the committee’s new chairman. He started to conduct a lot of research on merit badges, and looked to his local scouting executive in Iowa for advice on how to create a new one. “I submitted a letter of intent to the BSA headquarters, explaining my role with AWS and the desire to create a merit badge for welding. In my letter, I explained the need for welders and welding professionals in the country and the role of AWS”, Landon said. Despite his best efforts, Landon didn’t receive a response from the Boy Scouts of America until 2011. “We get about 100 merit badge ideas a year and only a select few of them are actually created into merit badges. Once a new merit badge is approved, it is put on the development list in the order it gets approved. The merit badges that were approved for development in previous years are created before we consider creating any new ones,” Janice Downey, the Boy Scouts of America’s Senior Innovation Manager, said. Even though Landon didn’t hear back from the Boy Scouts of America’s national headquarters right away, he proceeded to create the welding merit badge content as if he had. 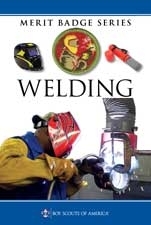 “As a committee, we decided to develop a “draft” of the welding merit badge book. We wrote the merit badge requirements and each member of the committee was assigned a chapter to write and develop. In the development process, we followed the rules of operation that AWS technical committees use for voting on standards. Once the first draft was compiled, it was circulated through the committee for comment. Comments were discussed for inclusion. The draft was then revised and circulated through the committee for further comment,” Landon said. Once the written draft was completed, pictures were added. 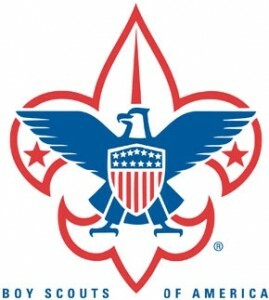 Then, the committee addressed the draft’s final comments, and submitted the final draft of the merit badge book to the BSA’s national headquarters for approval in 2009. “Once a merit badge idea is submitted to us for review, we conduct a youth interest survey to see what the scouts think about it if it were a merit badge. If the majority of the participants who took the survey like the idea, then we will continue to develop it as a merit badge. If the majority shows very little or no level of interest, then the idea is rejected,” Downey said. If the survey’s results are positive, then the idea is researched and evaluated. The organization evaluates the community’s demand for the idea. If the demand is high, then they look at other factors that specifically relate to Scouting. They evaluate the idea to determine if it fits in with Scouting’s values and goals. In addition, they look at the cost of developing the idea into a merit badge, as well as the cost of participation for each Scout and their unit. They also determine the idea’s level of safety, its age appropriateness, and its level of fun, among other requirements. If the initial idea meets all of these requirements, then the Merit Badge Task Force along with the Program Content Committee officially approve the merit badge concept. After the welding merit badge passed both the Merit Badge Task Force and the Program Content Committee, BSA contacted AWS and told them that they wanted to move forward. Both organizations worked together to write the merit badge pamphlet, add photos and illustrations, and then publish it. “As the chair of the committee, I directly worked with the BSA’s editors on the final edit of the merit badge book. We had to reduce the final draft we submitted to them by almost 30 percent. In addition, the book was reviewed by BSA’s editorial board and a representative from OHSA for a final safety review,” Landon said. “This process takes 12 months to complete. AWS had already done most of the research for the merit badge, and that made the writing process a lot easier,” Downey said. At the 2012 FABTECH convention, Landon introduced Downey to Charlie Cross and Carl Peters, both employees at Lincoln Electric. Lincoln Electric helped make the merit badge both easily affordable and accessible for Boy Scout councils all over the country. “Lincoln Electric donated welding machines and protective gear to each of the 300 councils around the country. They offered up their locations to train merit badge counselors and Scouts and they also produced a series of educational welding videos that were tailored with the Boy Scouts in mind,” Downey said. The welding merit badge received wonderful reviews from the scouting community ever since it was first published in 2012. 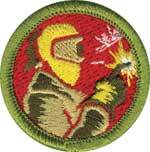 It has become one of the most popular merit badges to date, and continues to increase in popularity. “The merit badge book had to go into a second printing within the first si x months. In 2013, the AWS Careers in Welding trailer was present at BSA’s National Jamboree, and it was one of the most visited locations during the event,” Landon said. The biggest reason why the welding merit badge has been so successful is because the American Welding Society, Lincoln Electric, and the Boy Scouts of America combined their talents to create a truly innovative merit badge. Their collective expertise combined with the equipment and the training resources that Lincoln Electric donated gave Scouts all over the country a dynamic and hands-on learning experience. “Mankind has an internal drive to create. Welding is one of those unique opportunities to create something with our hands. This merit badge allows the scout to experience an intrinsic satisfaction through welding that he may not get anywhere else,” said Landon. To learn more information about the welding merit badge, talk to your local council or please visit the Boy Scouts of America Welding Merit Badge webpage.